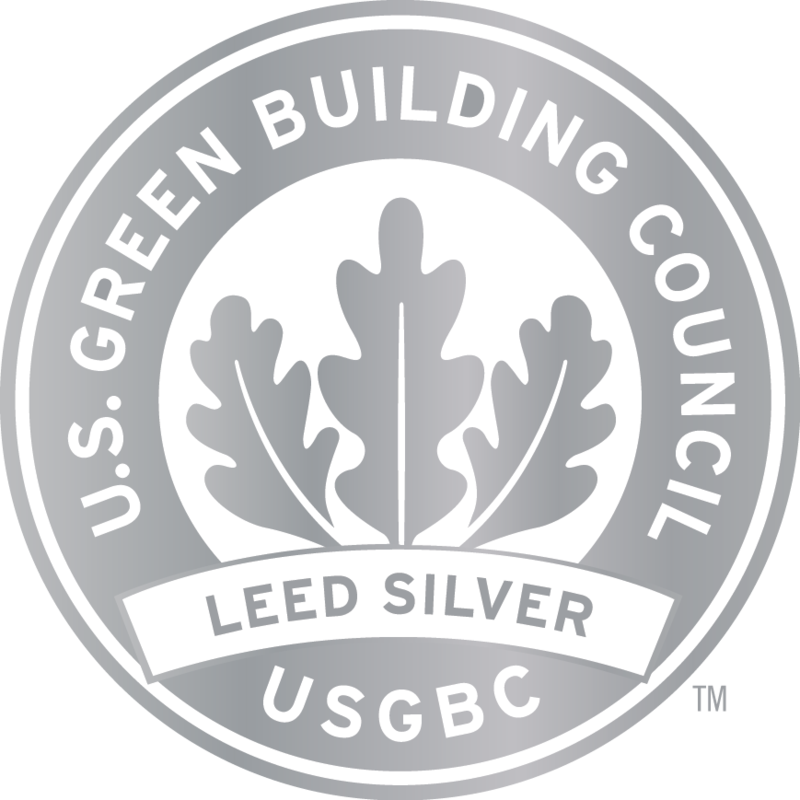 Momentum Worldwide achieved Silver LEED Status. LEED (Leadership in Energy and Environmental Design) certified buildings promote renewable, clean energy, resource efficient, and have a positive impact on the environment and health of occupants, while also saving money. This Tenant Improvement project included the interior demolition and 7th floor build-out of a 27,850 sq. ft. office with high-end finishes. Interior work included lobby renovations, 14 conference rooms, private and open offices, a production area, cafe, and restrooms. You can also learn more about LEED certifications at usgbc.org/leed.